The Democratic People's Republic of Mesopotamia is a nation led by Commissar Emporer Palpatine on the continent of Africa. 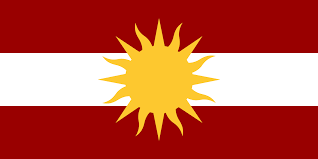 The Democratic People's Republic of Mesopotamia's government is a Socialist Republic with very conservative social policies. Economically, The Democratic People's Republic of Mesopotamia favors far left wing policies. The official currency of The Democratic People's Republic of Mesopotamia is the Pakistani Rupee. At 146 days old, The Democratic People's Republic of Mesopotamia is a mature nation. The Democratic People's Republic of Mesopotamia has a population of 374,836 and a land area of 2,180.00 sq. miles. This gives it a national average population density of 171.94. Pollution in the nation is a problem. The citizens' faith in the government is completely depleted with an approval rating of 0%. - The Democratic Government only had 26,000 men while The Rebels had over 89,000 men. 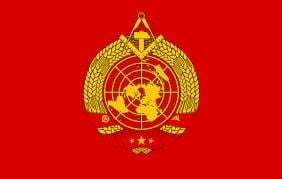 Description: Our current Government is a Socialist Republic. -after the first step the proposal goes up to a city council. Each City council has 200 Proconsuls. After this the proposal goes up to the supreme council and the Counsul. Each city has 50 representatives in the supreme council and the proposal must have a majority vote of 80% and the approval of the Counul to become a official law. This Branch handles all the other topics such as economics and defense.